Motherhood is not something you are taught nor something you learn from the books. Motherhood is a way and only by walking it can one know what it takes to share such a love. Motherhood is caring, loving and feeling for another being more than for one’s own self. It is the ultimate unconditional love experience. The bonding is made not by flesh nor blood but by connection, emotions and a sense of unity with another being to whom we feel linked with essential Life. Motherhood is more than the gift of giving Life. Motherhood is the blessing of keeping Life alive, within, so that it comes out enlivened in form. Whoever can share kindness, compassion and a sense of understanding of the heart holds the Truth of Motherhood. The first blessing of motherhood is the dedication to Love that it carries. Motherhood implies an unbiased sense of Love that holds the power to be compassionate, kind and understanding at all time. While this does not mean that one must always give in, as sometimes, no is the best answer for unconditional Love, it means that when Motherhood is shared, the well-being of the Soul is the primary focus. Motherhood vibrates with the active receptivity part of the human experience. It is an experience of being-ness and presence. In presence lies silence and undivided Love. The space made by these is precious because it offers another the room to exist without expectation, limitation or desire. It is a space of truth. There is no greater power than the Truth and whoever can provide a space for self or another to be true, gives Life the greatest power of all. The bridge on which motherhood is built is made of self-esteem, self trust and self-love. While these three virtues represent, together, a mighty strength, they are also very vulnerable when faced with outside expectations and societal pressures. Whoever holds the energy of Motherhood and is able to share it is simultaneously strong and vulnerable. A sense of vulnerability that empowers humanity with the knowingness about love and realization about interconnectedness. Motherhood is the energy of the ultimate caring for Life. It is at the center of all Life and as so, it is innate within each human being. While some may develop it more easily than other, it is the unalienable sealer for presence. Everyone with an expression of motherhood expresses the most natural sense of self held at the core of each cell that makes the Universe. The sense of caring for Life that exists within and outside of the form itself so that Life in form relates to itself through the sharing of its essence. There is no value nor even the capacity to price Motherhood as this is the truest treasure of Life. It is the most essential way with which Life can expand, grow and evolve not only in its number of experience but more so in its level of consciousness. Motherhood is the nurturer of the seed of the present so that the future is ensured to have flowers and fruits to bear. Motherhood is the power to care and the strength it takes to share it is a mighty one. Although, often related to the privileged relationship between a mother and her child, motherhood is also, and from a greater sense of consciousness, the capacity to relate to another life form with true dedication and unconditional truth. This is the way to Compassion, to Love, to Peace. 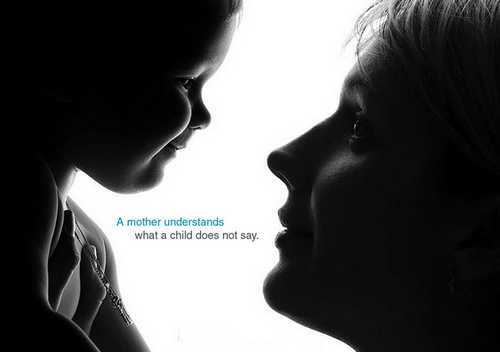 So true:) Happy Mother’s Day! !